My recent quest for a healthier existence took me to a yoga school recently. Where I realised (much to my horror) that it’s quite different from simply strolling into a gym, water bottle and towel in hand. Yoga requires a certain amount of prep-work even before you step into the class and starting a new program can be intimidating. So, I spent the days frantically phoning yoga experts to put together a checklist that will ensure one gets the best out of every session. 1. Don’t eat right before class: Refrain from eating at least two hours prior and 30 minutes after your practice. 2. Stay hydrated: Drink plenty of water before, during and after class. Better yet, drink plenty of warm water with fresh squeezed lemon juice, which is a terrific detoxifier! 3. Dress correctly: Wear whatever feels comfortable, preferably in soft cotton and Lycra spandex blends, with soothing colours and dry-fast weaves. That said, big baggy clothing does a disservice because you can’t see what’s going on with the body. Tighter fitting clothes, with the ankles showing, let the teachers see your true alignment and make it easier for them to help you with adjustments. Also avoid pockets, zippers, buckles or buttons on the back or abdomen. 4. Do not wear shoes: You could try yoga socks that help prevent slipping, but practicing barefoot is highly encouraged. 5. Bring water, a hand towel and a mat: While you can rent or borrow them at most studios, it’s more hygienic to have your own. Your mat = your germs. Simple! 6. Bring a large towel: Sweat + yoga mats = slip and slide. Draping a large towel over your mat will help you gain traction in poses like downward dog. 7. Avoid “noise”: Go easy on perfumes and don’t be loud or chatty. 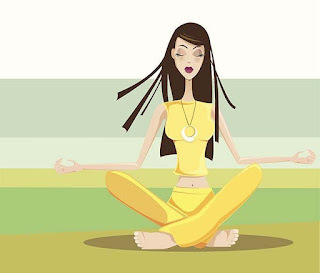 The yoga space is intended to be a sanctuary where one may go to decompress from the day and as such it’s best to keep it in a neutral, relaxed state. 8. Be on time: You don’t want to miss the warm-up. This is not just a matter of respect but also of safety. 9. Practice common sense: Know your limits and listen to your body. Ask questions if you’re unsure about a pose or movement. 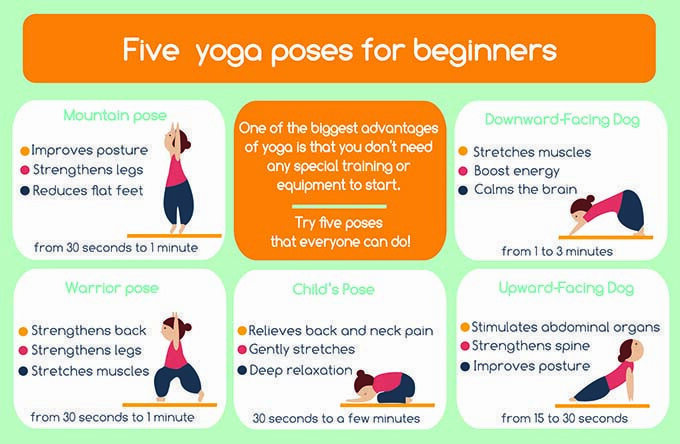 Beginners should start slowly and learn the basics (like proper breathing) rather than how far you can stretch. If you have any medical conditions or injuries, talk to your doctor – poses can be modified once the instructor knows your problem areas. And always remember – pain is not good. Don’t push into it, don’t hold your breath. Just get out of the pose. 10. Accept your feelings: It’s normal (and healthy) to sometimes feel emotionally upset during or after a yoga session… releasing tension in the body releases emotions as well. Finally, don’t give up too quickly. 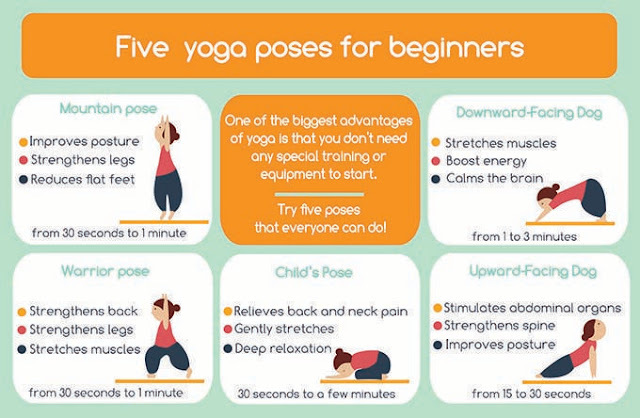 There are many styles of yoga, not to mention different studios and instructors you might prefer if one doesn’t work out.